Remove dough from can; do not unroll. Cut rolled dough into 12 (1/2-inch) slices. Place on cookie sheet. Brush top of each slice with butter. 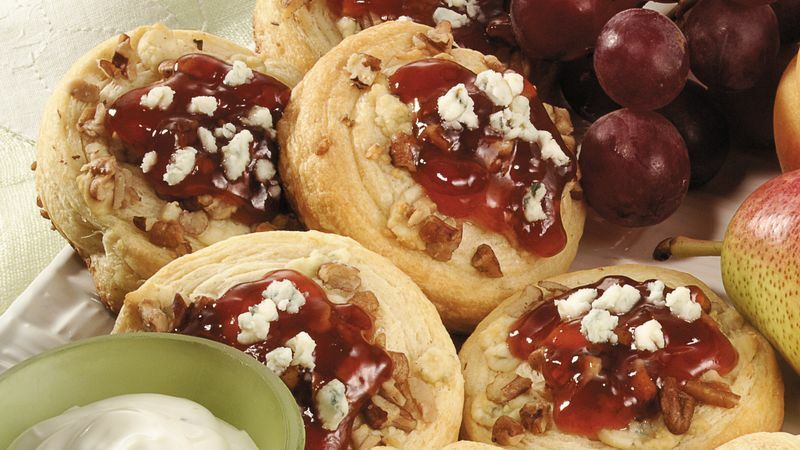 Sprinkle each with 1 teaspoon blue cheese and 1 teaspoon pecans. Arrange spirals on serving platter. Top each with about 1 teaspoon sauce. Garnish with additional blue cheese.